Home » IYSTD 2017 » Tuvalu! Why so breathtaking? Tuvalu! Why so breathtaking?!. Yes, this is Tuvalu – one of the smallest, most beautiful countries in the world, located right here in the South Pacific and is one of the most vulnerable to impacts of climate change and sea-level rise. We at SPTO would love to caption this as “A day at the office”, trading our laptops for a day to wade in clear turquoise water under azure skies, helping Tuvalu protect her environment by replanting mangroves. This is sustainable tourism – ensuring we are protecting our environment today for generations of tomorrow! Let’s not allow our island homes to be “here today, gone tomorrow”. Help us protect our environment so it’s here today, and here to stay! We know you have beautiful images of your island home to share with the global community, spreading the message that our islands are our home, our tourism products and we must protect them. And let’s have a bit of fun while we’re at it! 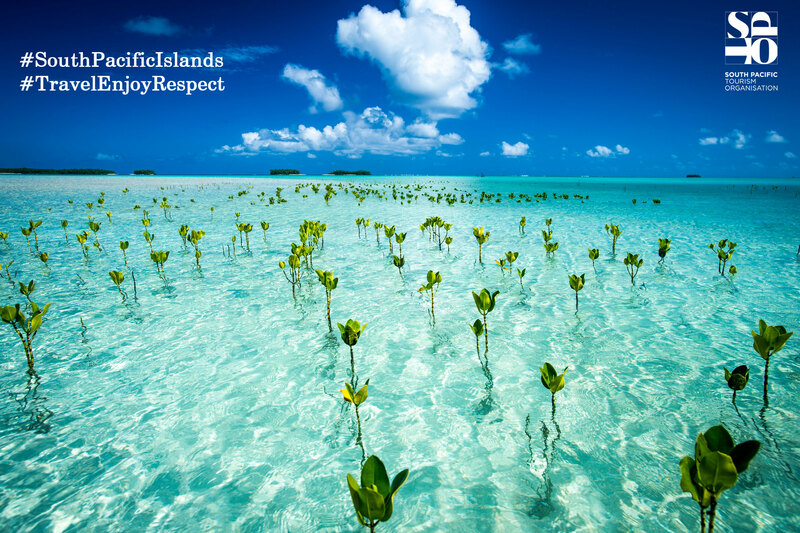 Post a photo of your beautiful environment on our Facebook page, write a caption of what sustainable tourism means to you, throw in the hashtags #TravelEnjoyRespect and #SouthPacificIslands and be in the draw to win a return trip somewhere in the South Pacific! And when you’re done, challenge two (2) friends to do the same. Let’s act to protect our beautiful South Pacific Islands!